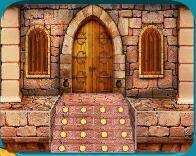 NsrEscapeGames - NEG Nsr Ancient Temple Escape is another point and click escape game developed by Nsr Escape Games. In this game, you are locked in an ancient temple lonely. So you need to escape from the temple. Collect useful objects to solve the puzzles for your escape. Good luck and have fun!